Vauxhall Mokka X Performance, Engine, Ride, Handling | What Car? The entry-level 1.6-litre petrol engine doesn’t have a huge amount of low-rev shove, so has to be worked hard if you want to make decent progress. The diesels are also frustrating, but for different reasons; they offer stronger mid-range pulling power, particularly the 134bhp version of the 1.6-litre unit, but have a very peaky power delivery. Put your foot down and there’s a short delay while you wait for the turbocharger to kick in, and the extra pace it provides is short-lived. Again, this forces you to change gear quite a lot to keep the engine in its sweet spot, making the Mokka X rather tiring to drive at times. Our favourite engine is the 138bhp 1.4-litre turbocharged petrol, which responds much more quickly. It also delivers its shove over a sufficiently wide range of revs, so it feels comfortable around town as well as on cross-country drives. The standard six-speed manual gearbox can catch you out because the change from second to third gear is particularly notchy, but otherwise it has a positive action. The automatic gearbox (available with the higher-powered petrol and diesel) is smooth, but doesn’t respond particularly quickly when you press the accelerator hard. Ride comfort isn’t a Mokka X strength. Although the suspension feels pretty soft initially, because it’s poorly damped it fails to settle over broken surfaces at low speeds. Meanwhile, larger bumps send jolts through the interior. These are qualities that make the Mokka X one of the least comfortable cars in its class. Try a Volkswagen T-Roc and you’ll find it rides much more smoothly over our typically scruffy roads; and even though the Seat Arona feels pretty firm, it’s far less bouncy over larger lumps and bumps. It’s the same story with the Renault Captur and Suzuki Vitara; both feel more settled over the rough stuff. The Mokka X isn’t particularly good to drive. The problems start with its steering, which gives you precious little idea of what the front wheels are doing and how hard the tyres are working. Traction on front-wheel-drive models is only average, so the front wheels spin up easily out of bends and the car’s front end will often push wide of your chosen course if you take a tight corner with anything approaching enthusiasm. Four-wheel-drive versions feel a bit more planted, but still have the same numb steering. 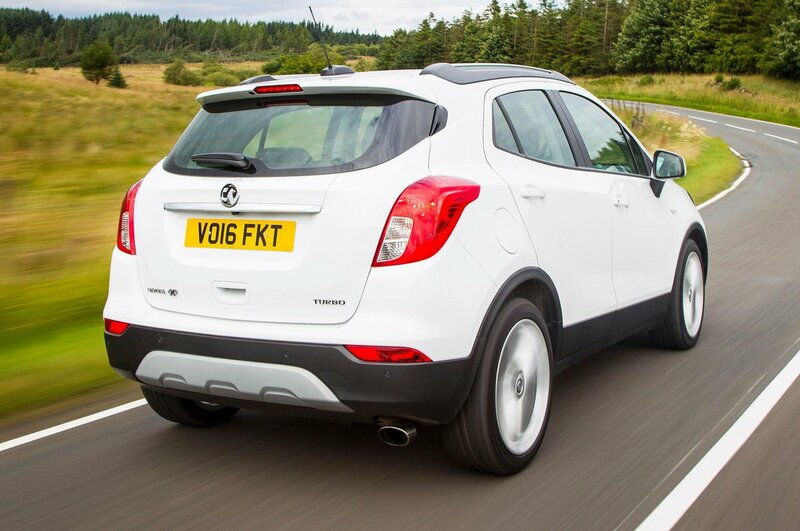 At least the steering is reasonably light at low speeds, helping to make the Mokka X easy enough to thread through town and manoeuvre into parking spaces. The relatively soft suspension also means noticeably more body lean through corners than what you’d get in a Vitara, while for a small SUV that’s genuinely fun to drive, the Arona is your best option. For the most peaceful progress, you want the 1.4-litre turbo petrol; the 1.6 petrol needs to be revved harder, while the diesels are noisy when idling and become even louder as the revs rise. The diesels also send a fair bit of vibration back through the steering wheel and pedals. Refinement continues to disappoint on the motorway. 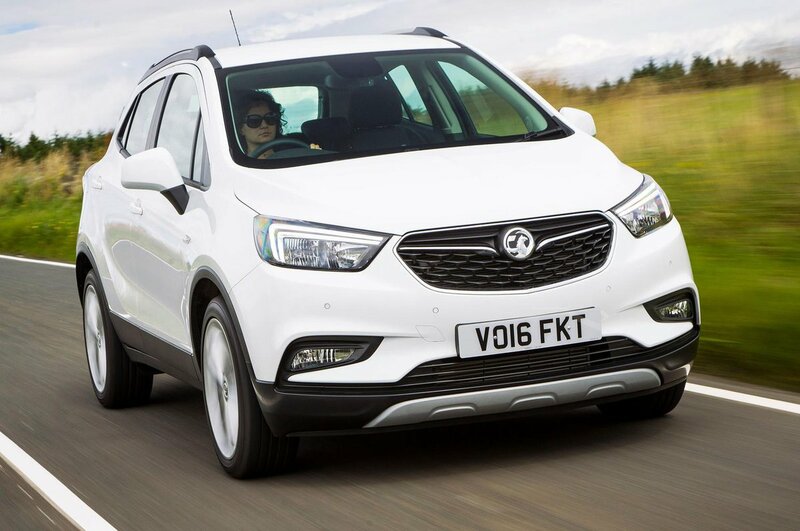 The Mokka X’s large door mirrors kick up a noticeable amount of wind noise above 50mph, while road noise is also an issue. It’s worth noting that the clutch and brake pedals feel quite snatchy, so in stop-start traffic it’s a tricky car to drive smoothly.